Historian, journalist, lyricist, poet and prose writer. 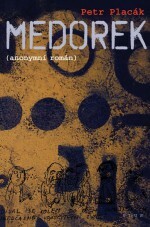 Winner of the Jiří Orten Award (1989) and the Magnesia Litera for prose (2008). 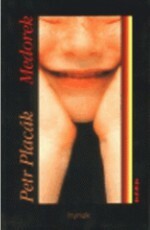 His books have been published in Dutch and Slovene. He was born on 8 January 1964. The Cop is a metaphor for the lone individual who has lost himself, his self-worth, who has become an instrument in the mechanism of restriction and oppresion. (...) This is why his “essay”, as the book is called, has meaning not only in the way that it reminds us of an era which has fortunately passed, but also as a meditation on how to be alone, no matter the era. Placák was a key figure in the Czechoslovak underground, organized anti-communist demonstrations and played with the band The Plastic People of the Universe. He has been a staff writer and editor of several publications and ran the student newspaper Babylon. His work was published in samizdat form. 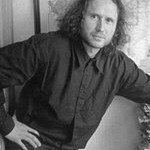 When he was twenty-one, he debuted with the prose Medorek (in samizdat 1985, in book form by Lidové noviny, 1990), which quickly became known as a “fierce novel”. 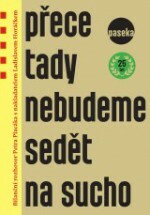 To this day the punk text about the non-conformist hero Karel Medor remains a powerful statement about the period of Czechoslovak Normalization, when informants were everywhere. 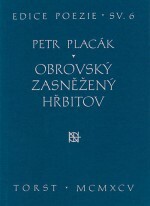 It was also in samizdat and under a pseudonym that Placák published the poems Obrovský zasněžený hřbitov (The Huge, Snow-Covered Cemetery, in book form by Torst, 1995). The book of short stories Cestou za dobrodružstvím (On the Road to Adventure, Babylon, 2001) sends its heroes on an arduous pilgrimage in order for them to find their inner truth: “If we read these stories attentively, we cannot fail to see what it is really about for him: finding the true, original value of people, phenomena and things and giving it back to them, mercilessly scouring away the build-up of superficiality and cheapness and restoring their former radiant beauty,” writes journalist and translator Petruška Šustrová about the book. Placák also published a collection of interviews with friends from the underground, Kádrový dotazník (Background Questionnaire, Babylon, 2001), in which he spoke to the likes of Vratislav Brabenec, Jáchym Topol, Vlastimil Třešňák and Ivan Martin Jirous. 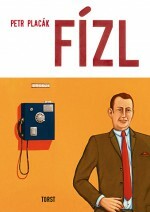 For the novel Fízl (The Cop, Torst, 2007) he was awarded the Magnesia Litera. This is his most extensive work on the boundary between genres – part essay, part collage and part bildungsroman. It also covers the actions of the group České děti (Czech Children), which Placák founded and which, unlike many other underground activities by opponents of the regime at that time, were more direct and combative. 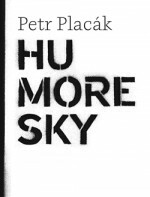 Petr Placák’s poems were published collectively as Humoresky (Humorous Stories, Revolver revue, 2015). The author also engages in essayistic work, and he wrote the treatise Svatováclavské milenium: Češi, Němci a Slováci v roce 1929 (The St Wenceslas Millennium: Czechs, Germans and Slovaks in 1929, Babylon, 2002), the acclaimed historical essay Gottwaldovo Československo jako fašistický stát (Gottwald’s Czechoslovakia as a Fascist State, Paseka, 2015) and also the interview in book form with the publisher and open-minded “literary grafter” Ladislav Horáček, Přece tady nebudeme sedět nasucho (We’re Not Going to Sit Here Without a Drink, Paseka, 2014).